Hot Coding! 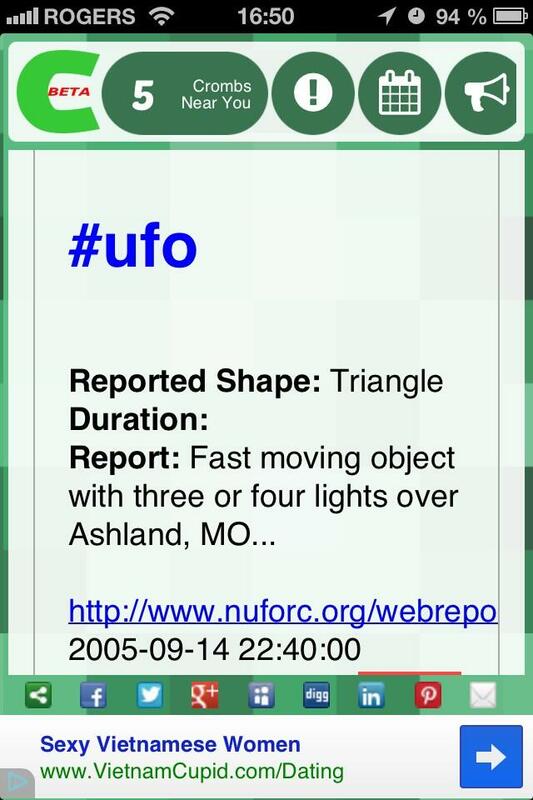 : Crombz is now reporting UFOs! Do you believe? In UFOs? 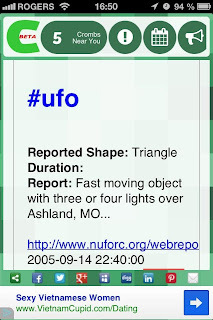 A complete database from http://www.nuforc.org has been integrated into Crombz.com to let you see if any sighting has occurred around you. Just look with your smartphone (iPhone/Android) with your GPS enabled for your browser and look around. You can get a few hints by looking at the HashTagz. Each report has the complete link for more detailed description of the event.